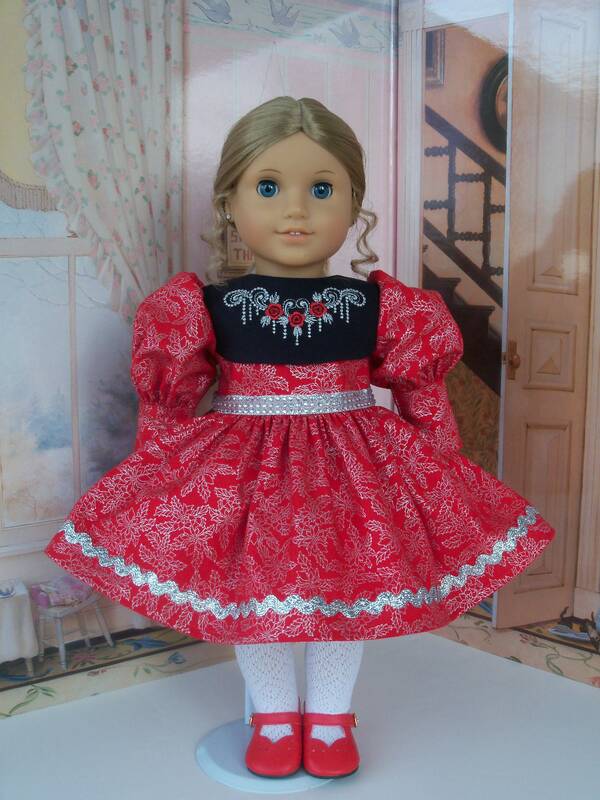 Presenting 18 inch doll clothes by Farmcookies. 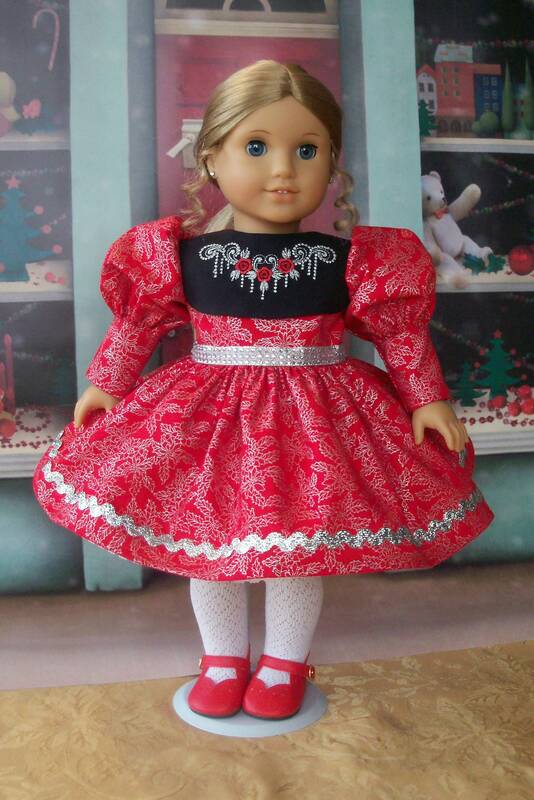 Like American Girl doll clothes, this listing is for a glorious Christmas doll dress with an embroidered bodice overlay, long leg-o-mutton sleeves, and a very full skirt. 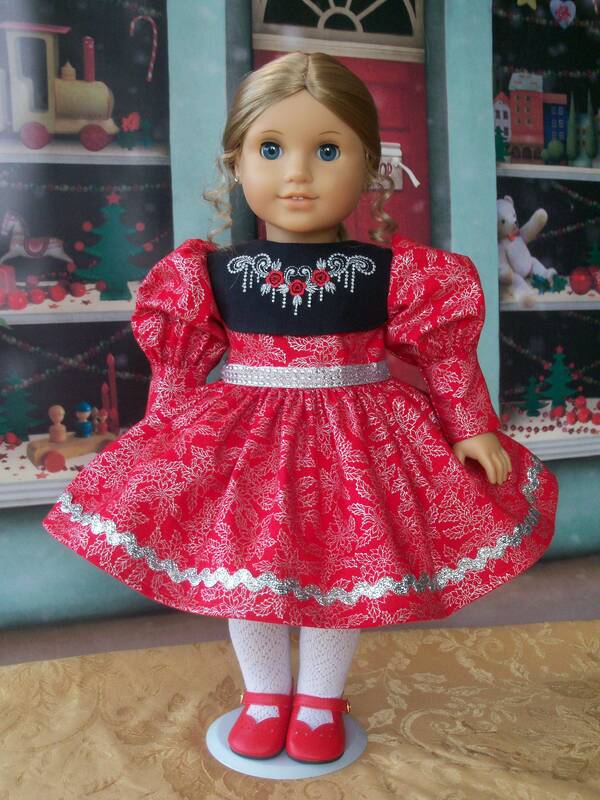 American Girl® Elizabeth is modeling this beautiful dress made from a designer metallic cotton. 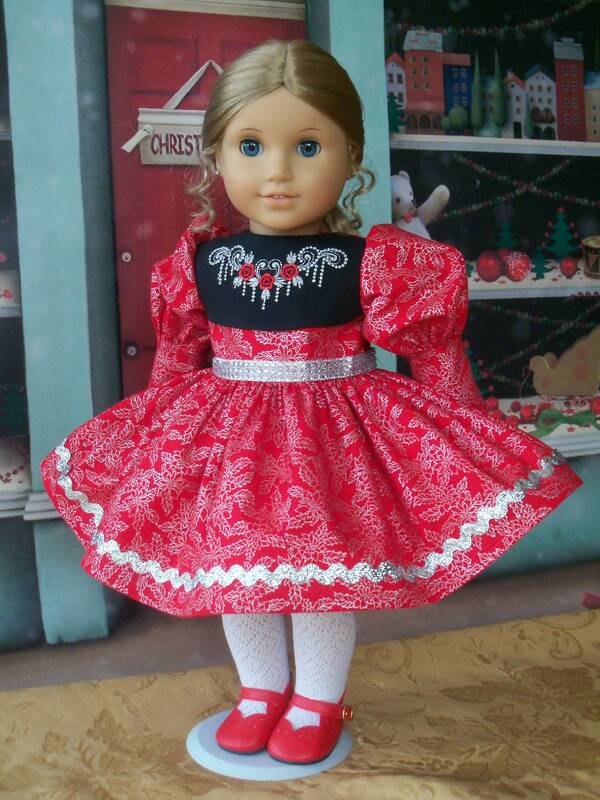 This dress would also be perfect for Maryellen, Kit, Melody, Julie or your special Be Forever doll of today. 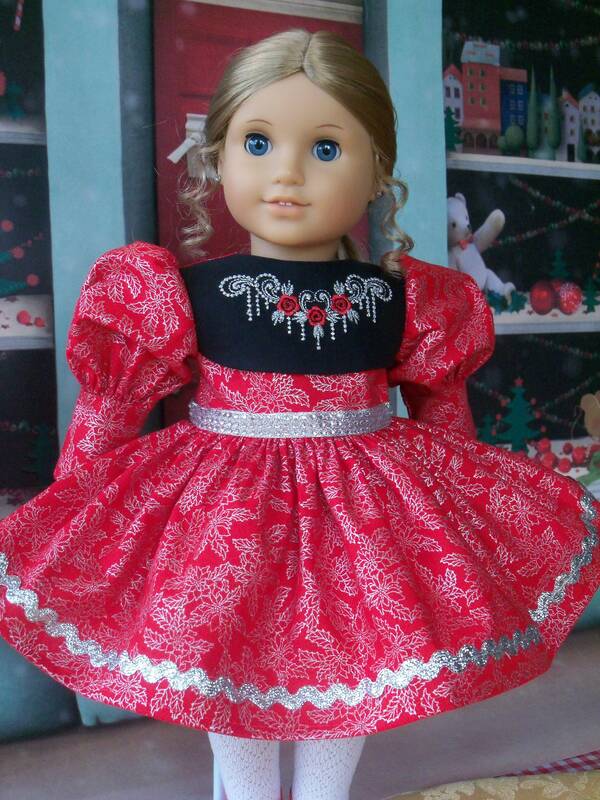 The fully lined bodice features a jet black overlay which was stitched using Madeira embroidery thread including silver metallic thread for extra holiday glitz. 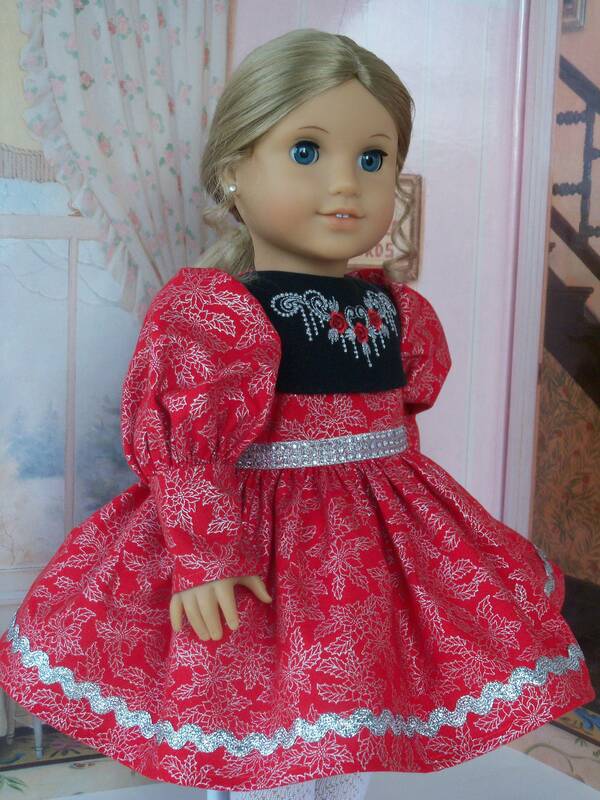 The long sleeves are very puffy with a deep cuff. A gemstone belt circles the waist. 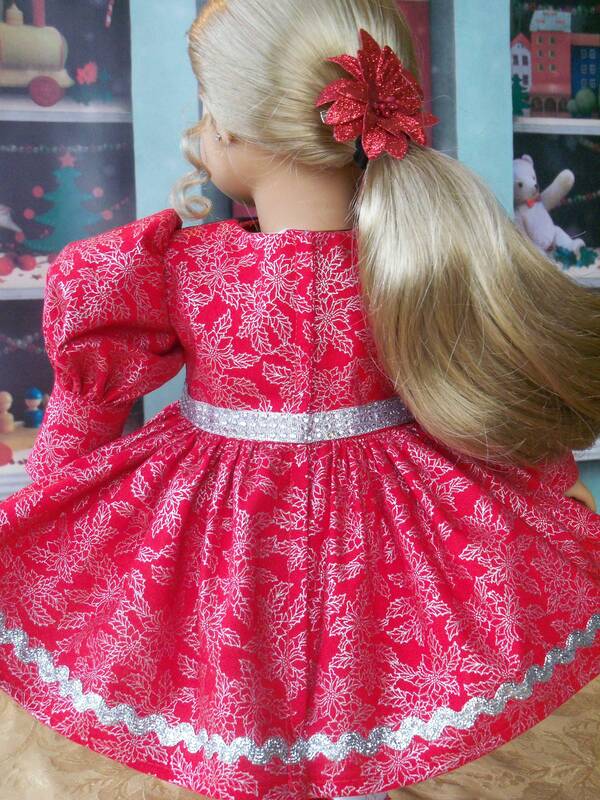 The very full skirt falls to the knee It is adorned at the hem with metallic silver rick rack. 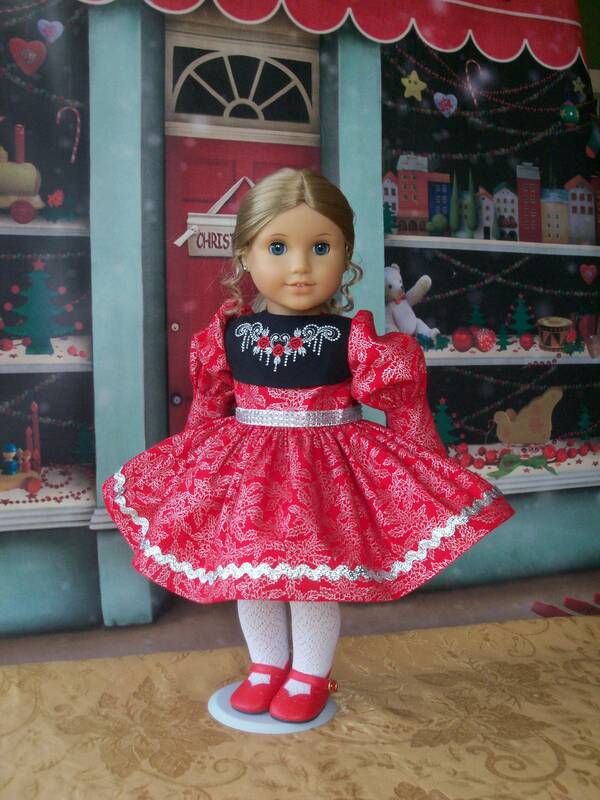 Red holiday shoes can be added to your purchase to complete this ensemble. 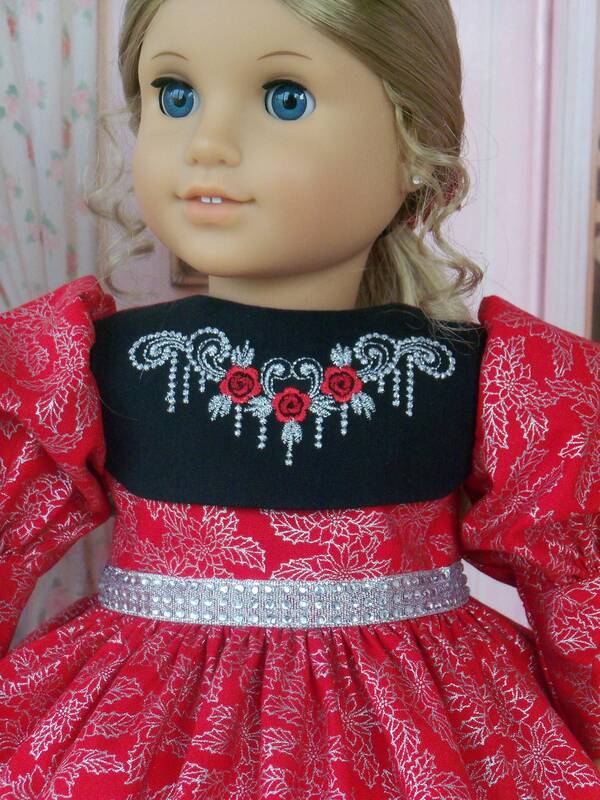 All my doll clothes are made in my smoke and pet free Maryland home. Clothes will be tissue wrapped and sent in a box so you receive them in perfect condition. I will ship within 2 business days of purchase. 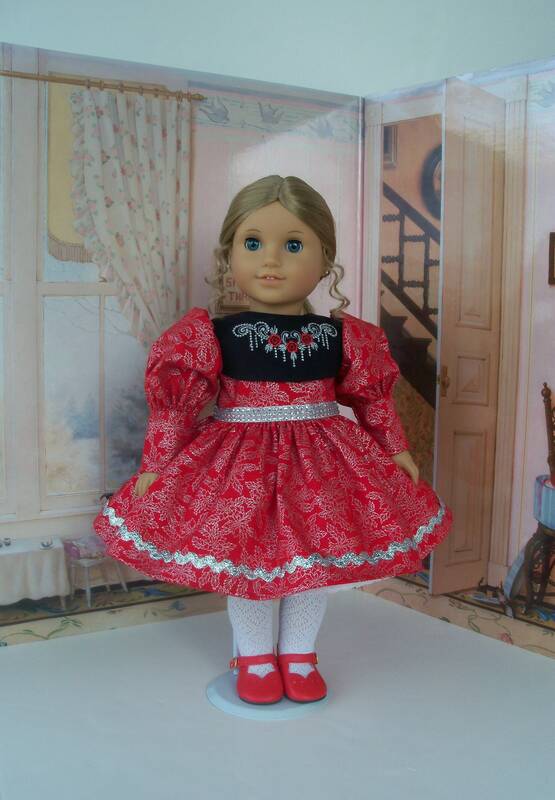 Doll, tights, hair clip and shoes NOT included in the listing. Just beautiful with great attention to detail. Fast shipping, too.